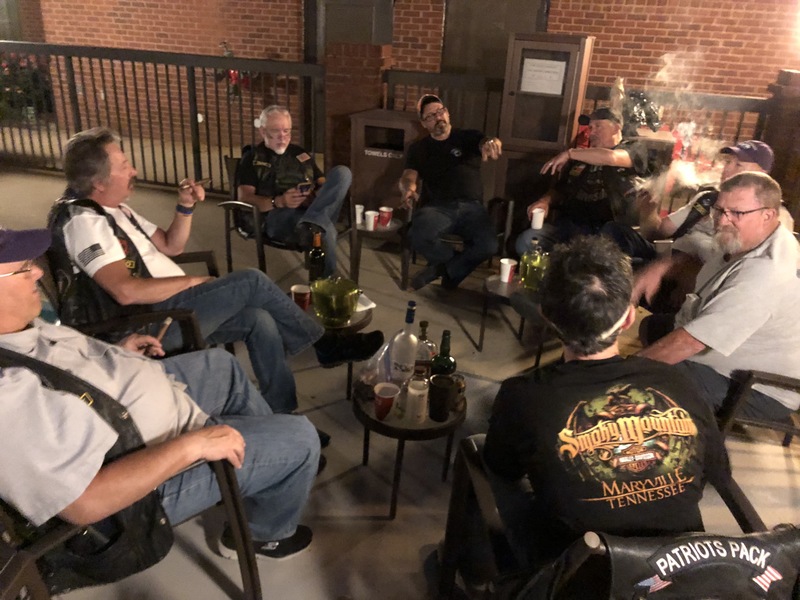 Day 8 – Boone NC to Richmond VA | Industry Analysts, Inc.
After a great night by the fire in Boone, the Patriots Pack decided to sleep in and leave at 9-ish this morning, our latest start since AZ. While saddling up, another hotel guest approached and began his story. Courtney (a boy named Sue, according to him) was (IS) a Marine Staff Sargent who had served in Iraq. Courtney told us about a mission where he took 138 men into the field and brought every one of them home. When asked by his superiors how he did it, he told them he was simply afraid of their wives. A great man and an inspiring way to start our day! We rolled out in perfect (cool) riding weather heading towards Richmond. About 45 miles into the ride, we finally pulled off for gas. A young guy pushing a shopping cart with all his possessions in it and his trusty dog at his side walked in at the same time. 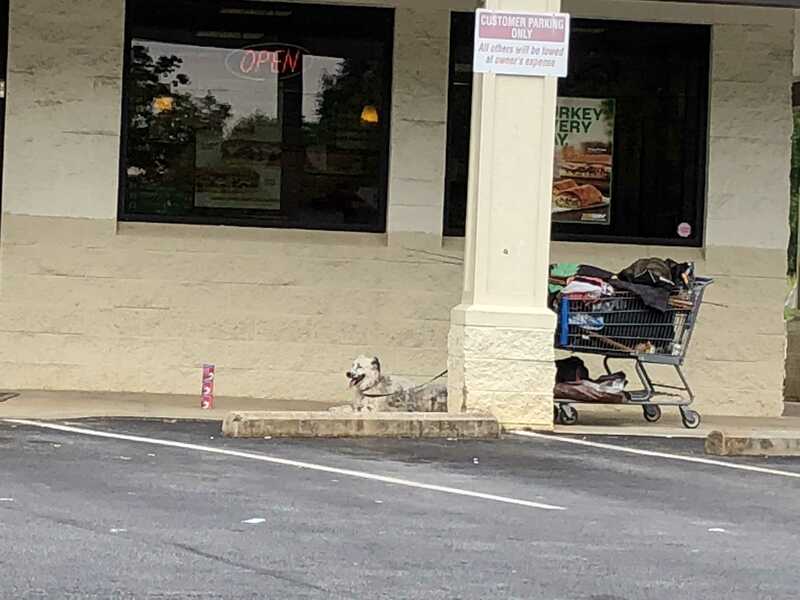 While the guy was inside, the Pack bought the dog a few cans of food and left them for the owner, who came out and picked them up. He looked around trying to figure out where they came from and as we were the only ones at the gas station, he smiled and gave us a thumbs up. Eat well my furry friend! Off we went again on a surprisingly empty road. It was now getting warmer so the hoodies were stored as we blasted east past open GREEN fields! A very different landscape than we had seen just a few days ago. Unlike last year where we arrived at our hotel in the middle of a massive storm, the Pack rolled in with no problem and were warmly welcomed by the staff who remembered us (and the storm) from last year. It’s funny how many hotels and restaurants remembers us! After some cleaning up, we headed to Paco’s favorite local Italian restaurant, which we’ve now hit four straight years. Just like at the hotel, our waitress Tanya remembered us! Another fantastic carb laden dinner and we were full of amazing food, wine and martinis. 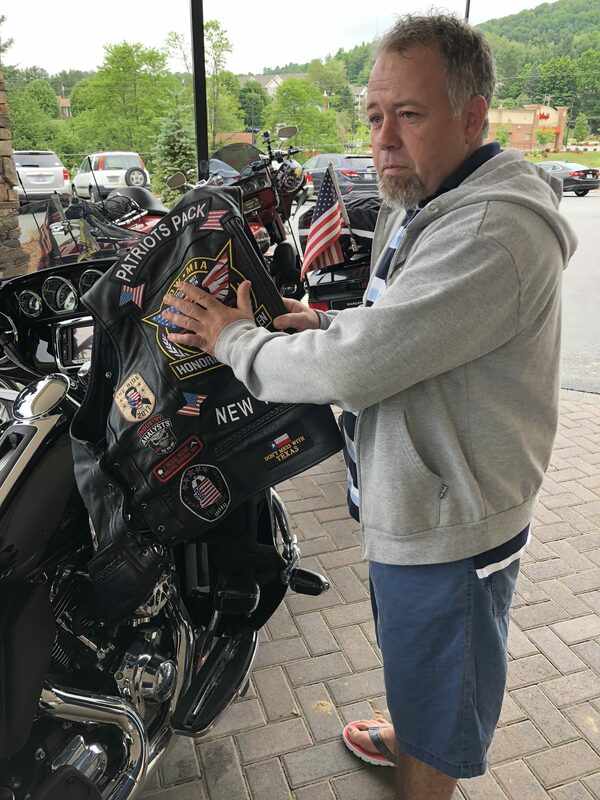 Slaw shared the video that our incoming friend and newest member Gerard Perillo sent, with the Pack being mentioned on the news in the NY/NJ area. Very cool! At the end of our dinner, a wonderful couple sent over a round of drinks and eventually took some photos. Then Tanya took some with us as well, even dawning Slaw’s vest for one. She was great! Back to the hotel for more martinis (and moonshine and bourbon and Irish whiskey…everyone has a different flavor). And cigars. Don’t forget the cigars! 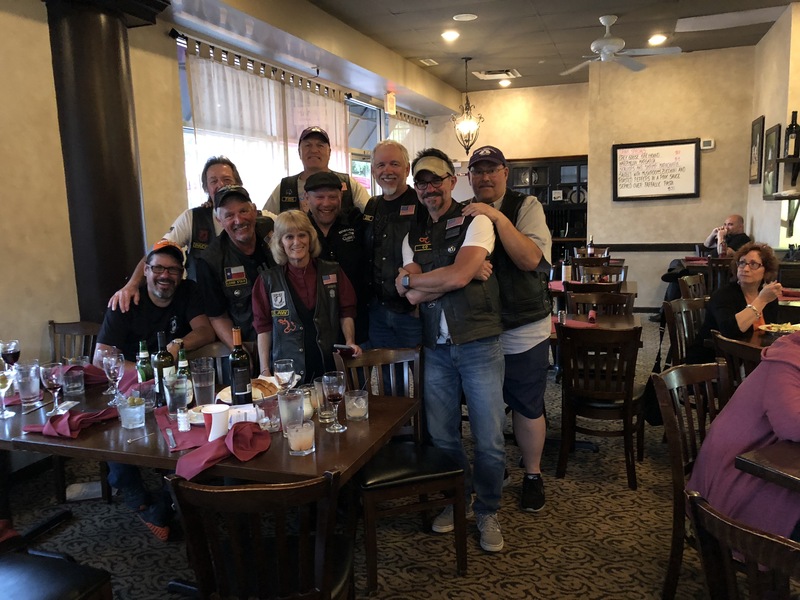 Fish brought enough to supply the entire million motorcycle Rolling Thunder event and he has sworn they are not coming home with him. We’ve made a good dent on the bag so far! It looked like it was going to be a relatively quiet night, with the Pack listening to tunes and relaxing a bit. 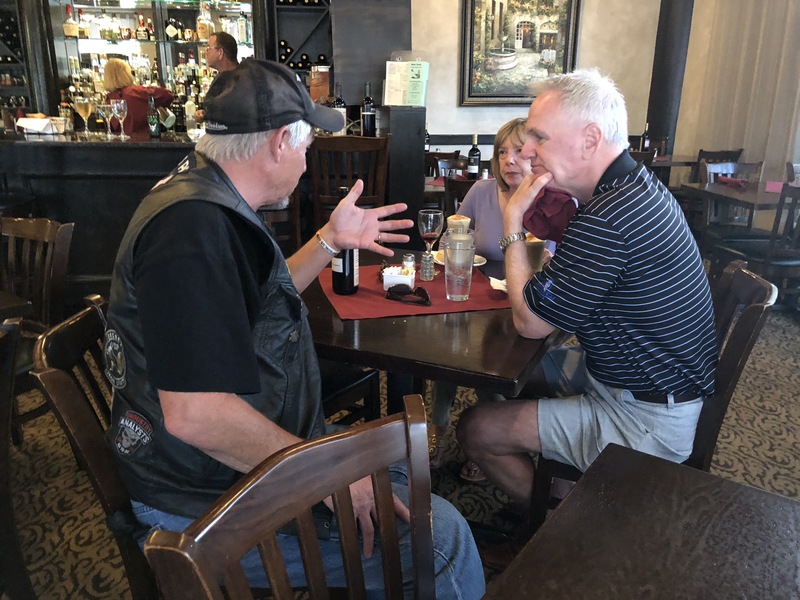 Slaw was hanging with his local college buddy, Steve Kelly. And then Gordito does what Gordito does best. He ran his mouth. Again. You’d think, after Slaw accepted his push up challenge on last year’s ride and beat him he’d have learned. You’d think, after Slaw accepted his SECOND pushup challenge at the Sharp Dealer Meeting in AZ in Dec., he’d have learned. But alas, Gordito did not learn. Time for another lesson, Pack style. After the humbling experience, the Pack got back to the serious relaxing they’d been doing before calling it a night. 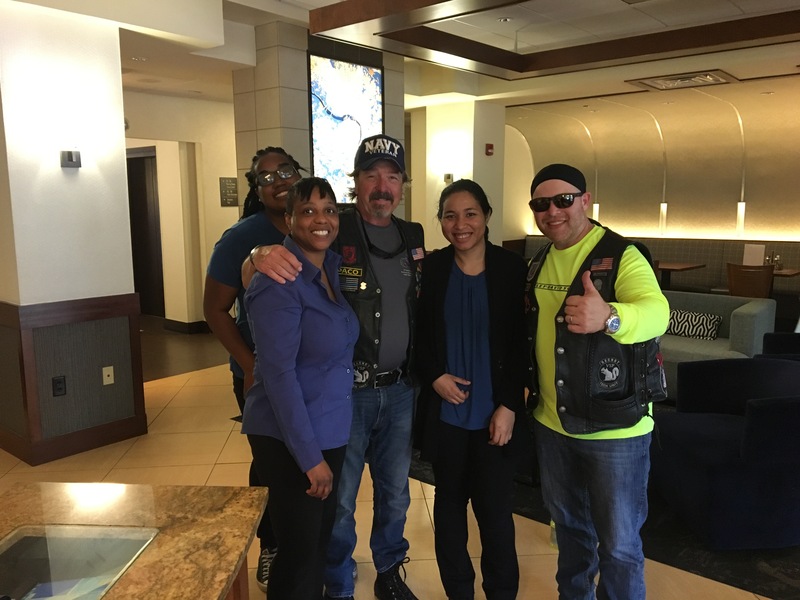 Another great day and off to Cobb and Richmond today before heading into DC for Phase 2 of the ride….ROLLING THUNDER! 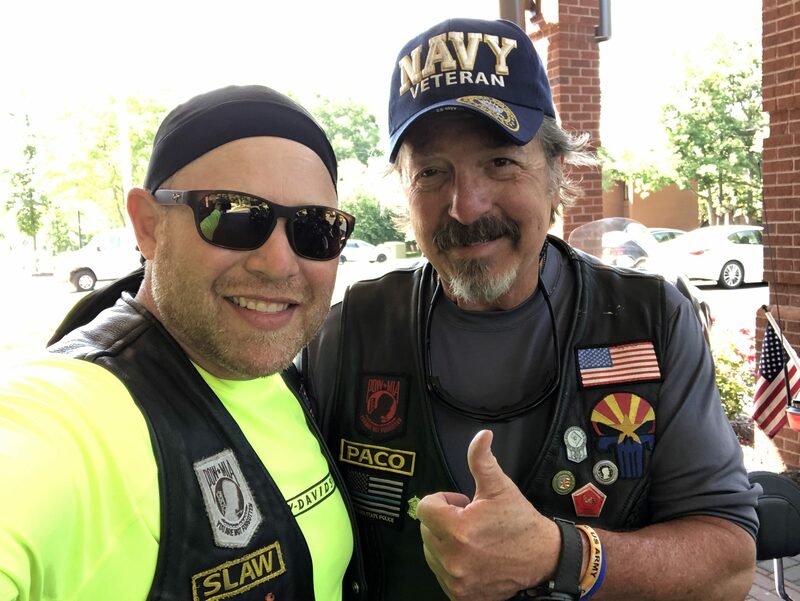 This entry was posted in Jillian and tagged Rolling Thunder, The Jillian Fund, The Patriots Pack, The Ride for Jillian by andyslawetsky. Bookmark the permalink.